It was my youngest son’s eighteenth birthday yesterday – a cause for much celebration! I also received an advance copy of Currawong Creek. It’s always a thrill to see your imaginary story in the form of a physical book for the first time. So all in all, a great week. Today I’m posting a Penguin Q&A about Currawong Creek. What is your new book about? – Currawong Creek is the story of Clare Mitchell, a young Brisbane lawyer who is very caught up in her career. When she takes on the care of problem foster child Jack, her ordered life is turned upside down. Her partner’s betrayal is the final straw. She takes leave of her job and takes Jack to Currawong Creek, her grandfather’s Clydesdale stud at Merriang in the foothills of the beautiful Bunya Mountains. She arrives to find part of the property leased by local vet, Tom Lord, an advocate of equine therapy for traumatised children. 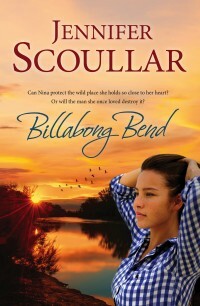 Jack falls in love with Currawong’s animals, and Clare falls in love with Tom and the life of a country vet. But trouble is coming, in the form of the Pyramid Mining Company. Trouble that threatens to not only destroy Clare’s new-found happiness, but the tiny town of Merriang itself. What or who inspired it? 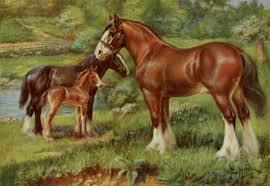 – I love Clydesdale horses! Also, I fostered kids for fifteen years, and saw many young mothers who needed help almost as much as their children did. There’s such a desperate shortage of foster carers in our community. Often, no suitable place can be found for a child after being taken into care. So I thought I’d explore that problem in my story. There is so much evidence to show that animals can help to heal traumatised children. I had to give little Jack that chance! The setting was inspired by Queensland’s Darling Downs, and its beautiful Bunya Mountains. A growing national concern about our land and water has led to a realisation that agricultural land and underground water are finite resources that should be protected. This is another issue explored in Currawong Creek. The characters though, are entirely fictional. I loved the idea of throwing a young, single, professional woman in the deep end with a difficult child – and a German Shepherd puppy! How would it change her? What problems would it cause? How would she cope? What was the biggest challenge, writing it? – My biggest challenge was writing the relationship between Clare and Jack’s birth mother, Taylor. These are two women from very different worlds, yet they share a strong common bond. They both love Jack. Emotions naturally run high in that sort of a situation, and I wanted to show each of their positions with sympathy. It needed a delicate balance, and a lot of rewriting. What did you want to achieve with your book? 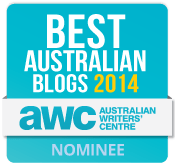 – I mainly wrote Currawong Creek to be an entertaining story. Along the way, it may raise awareness about the challenges and importance of fostering. It may encourage somebody to explore equine therapy as a healing tool for a child. That would be good. I also hope it may help spark debate about land and water conservation in Australia. What do you hope for your book? – I hope my book will be widely read and enjoyed. Are there any parts of it that have special personal significance to you? – Samson, the German Shepherd puppy, has particular personal resonance for me. I raised and trained German Shepherds for many years, and he is a composite of my most intelligent and charming dogs. 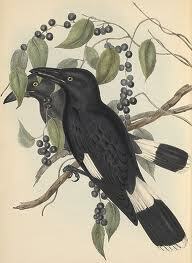 My father also passed on to me a particular love of Clydesdale horses, and I’ve always had a soft spot for currawongs! What do you see as the major themes in your book? – I suppose one of the main themes is finding the courage to stand up for what you believe in. Also forgiveness and an exploration of the different kinds of love – love for a child, a lover and a grandfather. What made you set it in …..? 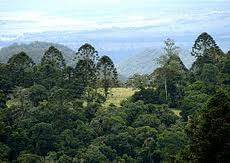 – The Bunya Mountains? They’re a magical place, like an island, surrounded by the plains and cleared farming land of the Darling Downs. A refuge of biodiversity, harbouring ancient plants and more than thirty rare and threatened species. Iconic Bunya pines (Araucaria bidwillii) tower over tall, moist rainforests along the crest of the range. Their distinctive dome-shaped crowns rise above the canopy, as they’ve done for millions of years. It’s a truly mysterious and romantic setting. To whom have you dedicated the book and why? – Currawong Creek is dedicated to the Wilderness Society, as a tribute to the wonderful work they do, protecting and restoring wild places across Australia. Who do you think will enjoy your book? – Anybody who loves kids, animals, the bush and a ripping love story.